Traditional radio trunking systems use a digital control channel to allocate users a free communications channel when they wish to talk. It lets the other users in the ‘group’ know which channel they (the radios) are using. This system is more efficient than conventional two-way radio communication, and allows more groups of users to share a limited set of frequencies. Psuedo Trunking is a system only available from Hytera. It allows two separate conversations to take place at the same time on the same channel. For example a council could have their refuge department and also their park ranger department talking to members of their respective departments at the same time, and not be aware of the ‘other’ department using the channel. Yesway Digital Communications can provide the Hytera DMR Psuedo Trunked system for your organisation. 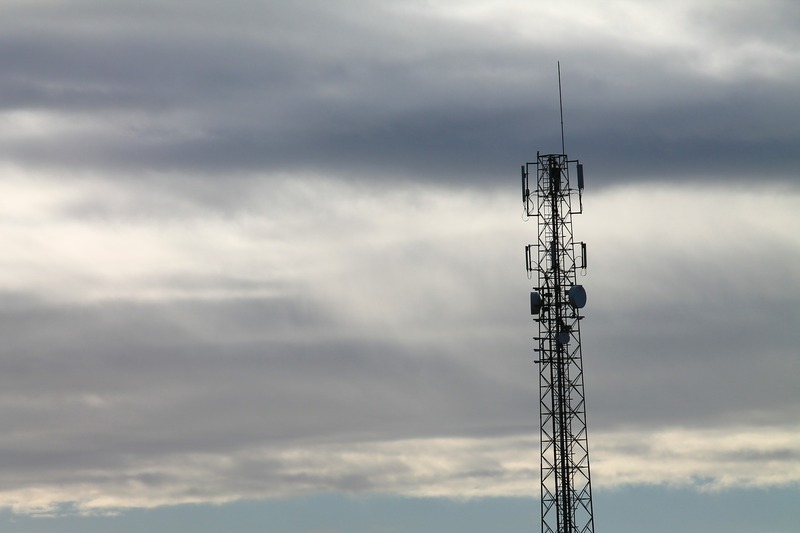 1) Higher reliability than mobile phones in sparse rural areas due to poor phone coverage. 2) More rugged design of two-way radio handsets. Models from Hytera & Tait for example can survive being dropped on the hard ground, or even into water. A handheld radio that we would recommend for farmers is the Hytera PD705, which is IP67 rated. This means that it can withstand being dropped in water, so is perfect for outside work activities. 3) Time saving because you just press transmit & talk, rather than having to dial a number & wait for connection. Great for emergency situations, & a safety feature. 4) Cheap to run, as you have no call charges to pay, and your employees can’t make private calls, costing you money & lost time. For handheld only use, a 5 year Ofcom licence can be obtained, for only £75. The licence allows use of a number of shared frequencies, and is not area dependent. This means that you can use the handheld radios throughout the UK, without being restricted to a particular set geographic area. 5) ‘Lone Worker’ features from manufacturers such as Vertex-Standard allow safety monitoring of workers, which helps farming safety. 6) Range can be extended worldwide through the use of repeaters, and other modern IP technology, so distance now no object for modern two-way radio. Many farmers already have existing radio systems that have been in place for many years. Unless the system is less than five years old, then it is likely to be what is known as ‘Analogue’. Even if the system is newer than five years, it could still be analogue, rather than Digital, as the price of analogue until recently was quite a bit less than Digital. These days, in 2017, the price difference between the older Analogue radios, and the newer Digital radios has narrowed, and we would recommend Digital. Better coverage at the fringes of transmission range. The voice quality stays great at the fringes of coverage, and does not suffer interference. Battery life of handheld radios is better, compared to analogue handheld radios. Digital radios are harder to eavesdrop on. You can keep your existing Analogue system, and gradually replace the radios with the more modern digital system, using what are known as ‘Migration Radios’. These radios, such as the Hytera PD415 handhelds, are capable of operating in both Digital & Analogue modes. Therefore you can could for example communicate in digital mode between two PD415 radios, whilst also being able to communicate with your older analogue radios as well (in Analogue). These ‘Migration Radios’ , such as the Hytera PD415 offer farmers the choice to avoid a large initial expense of a new Digital System. Instead, farmers can gradually replace their existing Analogue radio system over time. If you are a business with old two-way radios gathering dust in your cupboards, and not wanting the hastle and expense of disposing of them, then why not give us a call and see if we can’t offer you money for them. Call Craig on 07905 025328, or use the contact form. Yesway Communications provide two-way-radio communications services to the London area. Our Fleetcomm handheld walkie talkie network, along with our wider south east england communications radio repeater network, provide reliable long distance communications solutions for a low fixed monthly fee. Birmingham and the West Midlands M5 corridor is set to gain even better wide area two way radio coverage, due to new radio communications repeaters being installed very soon. The system which already covers Birmingham, will be further improved to cover much of the west midlands and M5. We are excited to be able to offer this benefit to our customers, who demand wide area communications for a low fixed monthly fee. Handheld mobile radios are great for cheap reliable communications, however communication range can be an issue for some events that take place over multiple sites in Lincolnshire for instance. Yesway of Lincolnshire can provide trunked repeater based solutions for your event which will out perform conventional two way radio systems. An event split between a site in Lincoln & another site in London for example could reliably communicate using handheld walkie talkies, via our national trunked repeater network. Get in touch, and we will be happy to help in any way we can. We can supply and program your new security radios onto your Ofcom frequency from £15 per radio. We specialise in Motorola, Vertex-Standard, Icom & Kenwood two way radio equipment. Trunked radio repeaters offer the user wide area communications for their business as well as an effiecient use of the radio spectrum. Trunked radio repeaters use digital signalling to allocate a free frequency channel to the radio wishing to transmit. This allows for many users to share a trunked repeater. We offer repeaters that cover most of the Uk, and trunked repeaters are great for security firms, taxi firms and farmers.